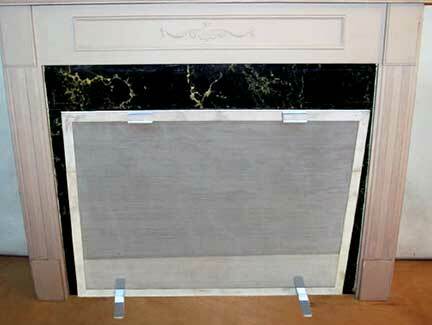 Made to order hearth screens are now offered to accompany your fireplace dressings. 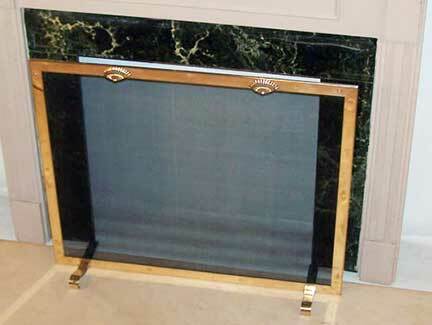 These custom made hearth screens can be fabricated in a variety of styles using a wide range of materials. 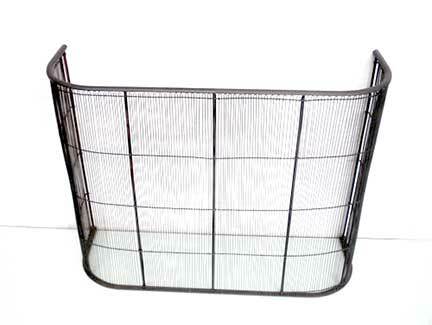 The feet, handles, trim and other features are crafted to your exact specifications. 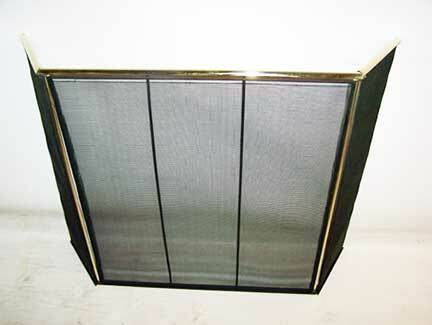 These screens are free standing and require no special installation. 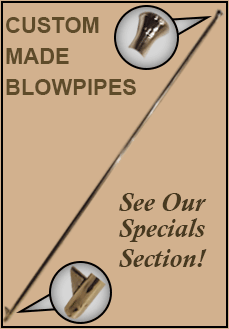 They are handmade by American craftsmen with superb workmanship and attention to detail, and will serve to inhibit stray sparks from open flames in your fireplace for generations. 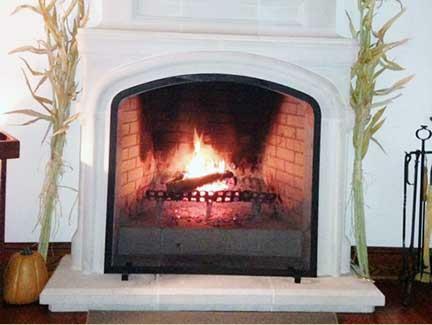 ColorGlo® fireplace screens offer many different colors for your hearthscreen designs. 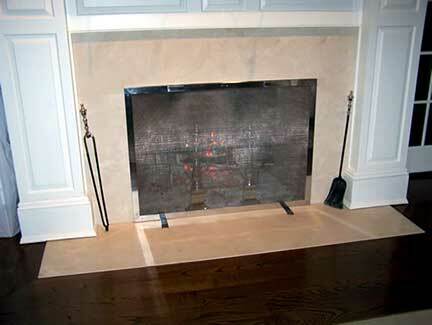 With easy care, mobility and beauty your ColorGlo® fireplace screen will be a great addition to your home. 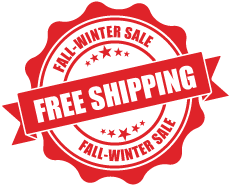 Please visit the ColorGlo®Custom website for more details. 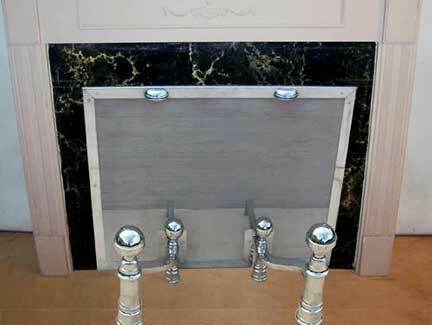 Iron fireplace grates for any size and style firebox are also available. 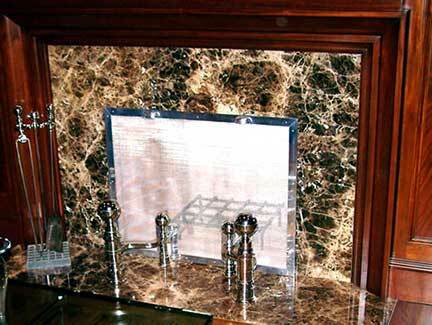 Do you have a specific fireplace screen in mind? Antique Andirons can help with that or other fireplace related needs. 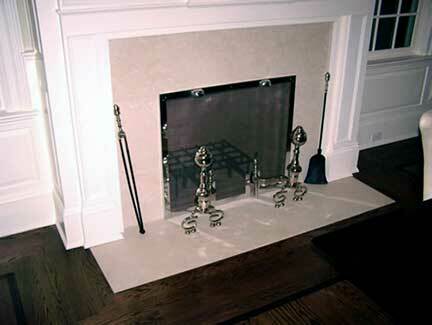 Please visit the contact page to take advantage of our many years customizing fireplace screens. Quality work and timely construction assured. 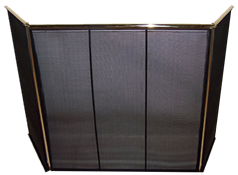 Free standing hearth screen frames are made of heavy-grade steel banding, cut and formed to your dimensions. 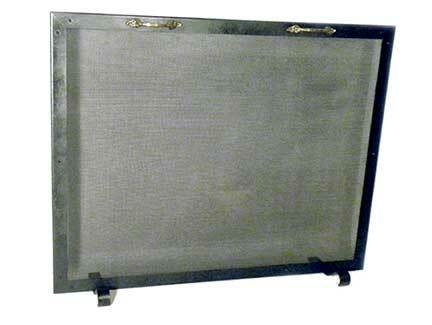 Sturdy gauge screening of iron or brass is rigidly attached to this frame. 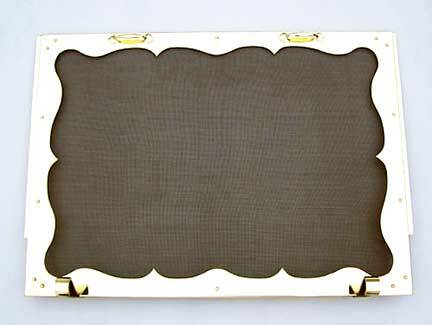 The frame is covered with brass or other metal trim of client's choice. 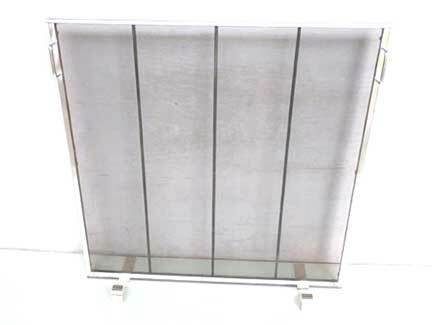 The trim is held in place by appropriate metal fasteners; screen material, handles and various styles of feet are applied to the screen for stabilization. 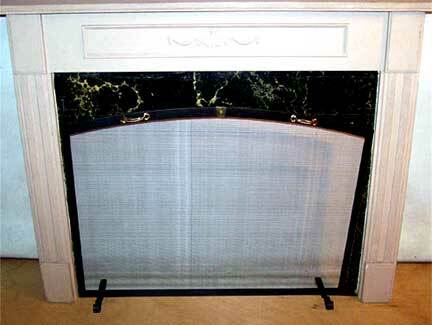 The free standing hearth screens do not damage mantle fronts as affixed door screens do. 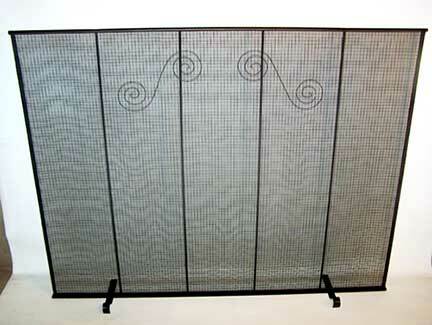 The finished hearth screens are beautiful, rugged and portable. Please see some of our examples below, and feel free to contact us with any questions or custom work you may need.